Our Botanic Gardens site will be closed from 29 January 2019 for work as part of our museum upgrade. 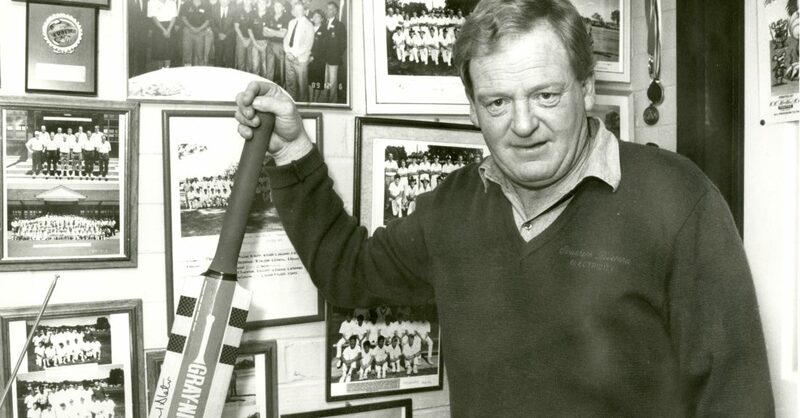 Explore the life and legacy of local legend, mentor and pioneering cricket coach Warren ‘Wazza’ Smith. Warren ‘Wazza’ Smith insists he is just an ordinary bloke, but those who know him think differently. For over 50 years, the irrepressible coach and mentor has been a regular fixture on pitches and ovals all over Southern NSW, imparting the fundamentals of cricket, and some important life lessons too. Smith was instrumental in the development of Australian test cricketer Michael Slater, and influential to elite players the world over. To many more, his insistence on hard work, fair play and respect were just as formative. The exhibition includes rare objects like a bat from the notorious ‘Bodyline’ series, signed by the likes of Sir Donald Bradman and Douglas Jardine. The ‘Wazza’ story is one of indomitable spirit and country can-do. As a coach working in rural communities, Smith came up with ingenious inventions to help kids train in less than ideal conditions. The exhibition showcases a selection of hand-stitched, hand-welded training aides made by the man himself. Through the story of one man, Museum of the Riverina explores our collective obsession with sport, unearthing some remarkable moments from the history of Wagga Wagga, the City of Good Sports. It’s a story for anyone who ever turned up early to training, or stayed up late watching a game.